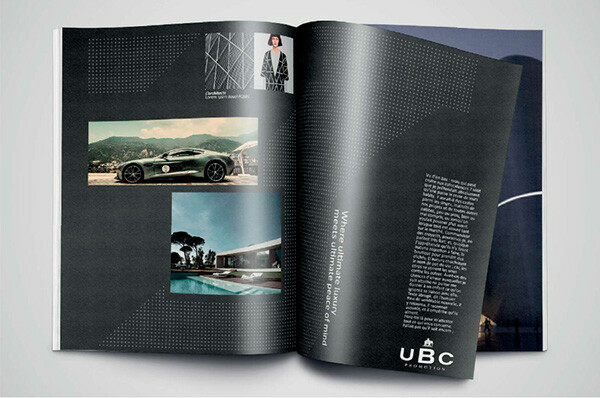 UBC is an ultra luxury real estate and promoter in Europe and Northern Africa. 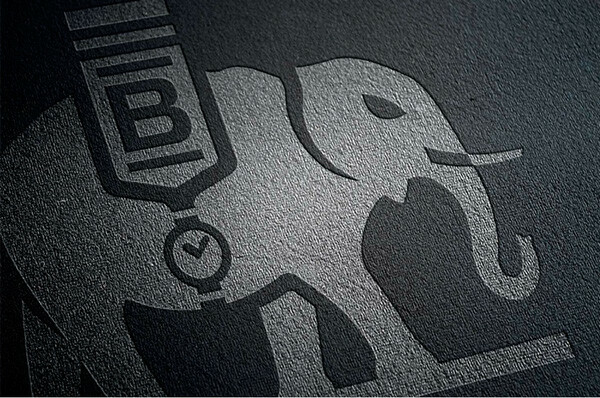 What inspired the symbol is the antique story of Hannibal Barka walking on Carthagena with his army of elephants, expanding his empire. 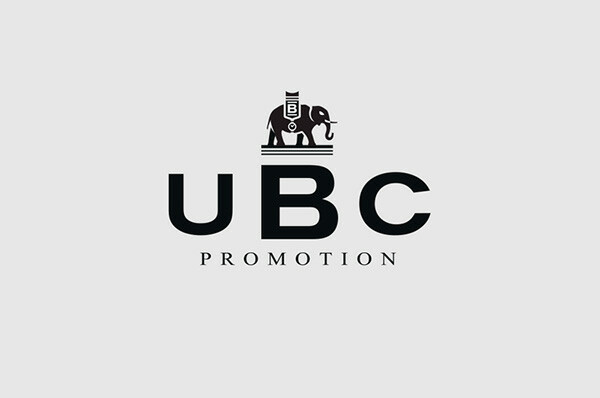 The founder of UBC being one of the descendants of Hannibal — hence the B of UBC, it came as a natural fit to use the elephant, but this time for different reasons. The animal has a great lifespan, and is known for its wisdom and memory. It can also carry great loads. 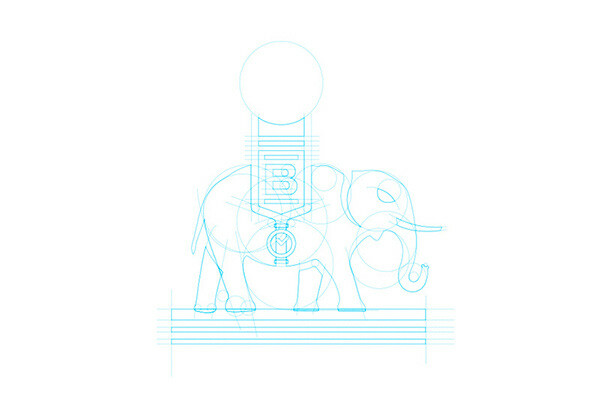 In the center of the symbol, A watch can be seen, as a little wink to Barka's love of fine watchmaking. 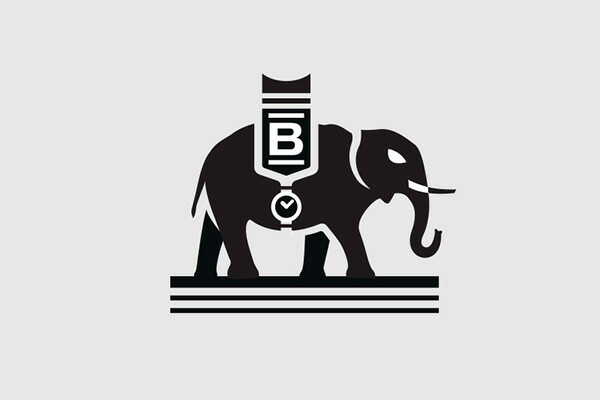 The number three also shows importance in the symbol: The elephant walks on three lines; The B has a line under it and two above it. 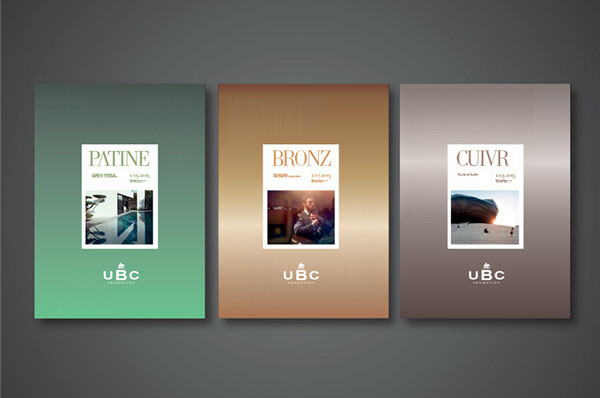 The number three stands for the types of projects UBC works on. 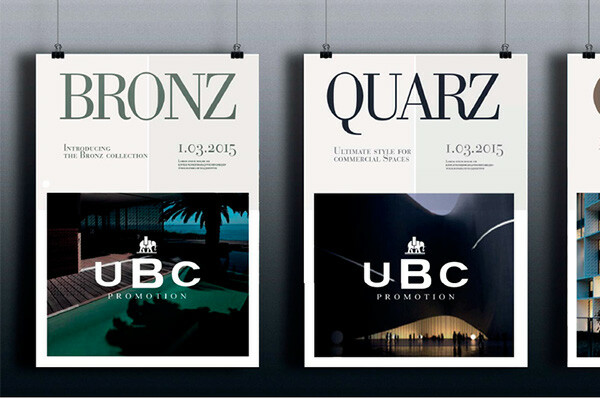 Residential, commercial, professional. 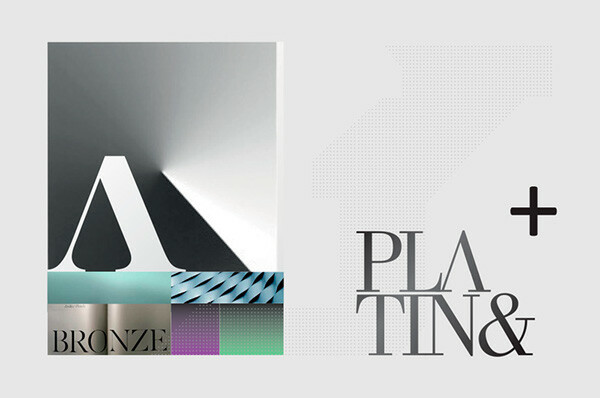 The identity and territory were to express luxury, power and elegance, through the use of dark colours mixed with white space and metallic paints such as bronze. 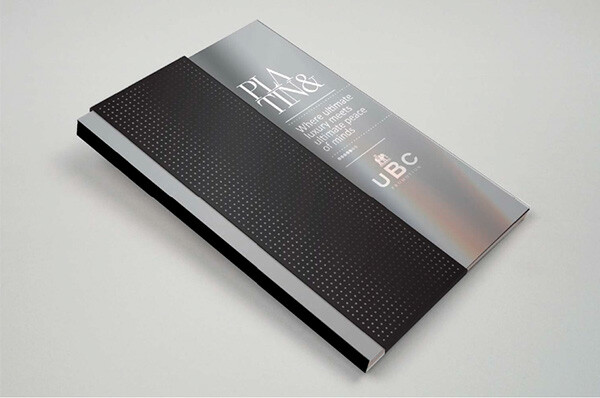 Beautiful papers, selective varnishes and embossing contribute to the overall look and feel. 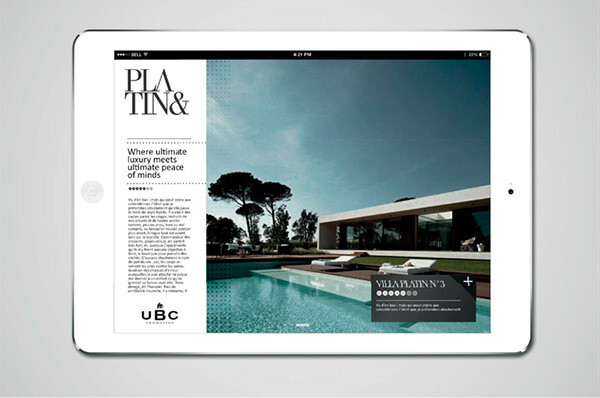 UBC is an ultra luxury real estate and promoter in Europe and Northern Africa. 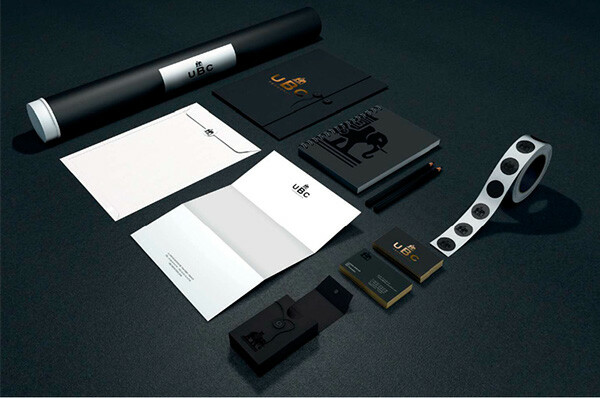 What inspired the symbol is the antique story of Hannibal Barka walking on Carthagena with his army of elephants, expanding his empire. 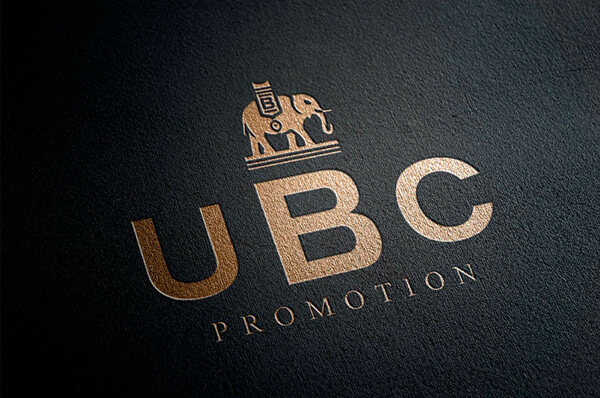 The founder of UBC being one of the descendants of Hannibal — hence the B of UBC, it came as a natural fit to use the elephant, but this time for different reasons. The animal has a great lifespan, and is known for its wisdom and memory. It can also carry great loads. In the center of the symbol, A watch can be seen, as a little wink to Barka's love of fine watchmaking. 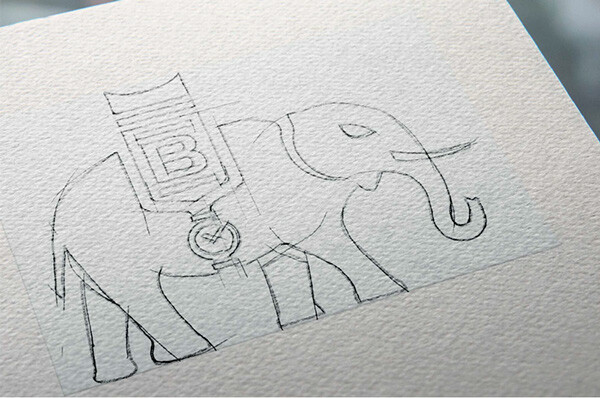 The number three also shows importance in the symbol: The elephant walks on three lines; The B has a line under it and two above it. 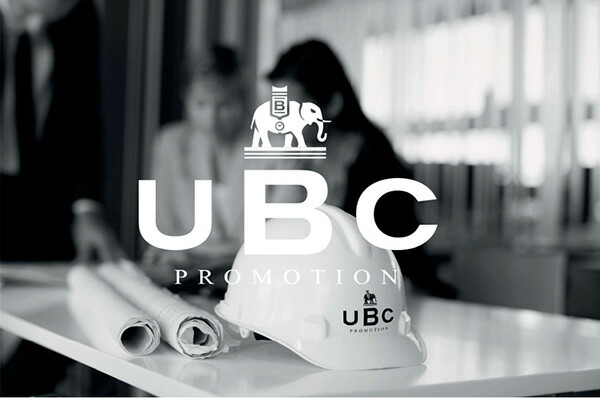 The number three stands for the types of projects UBC works on. 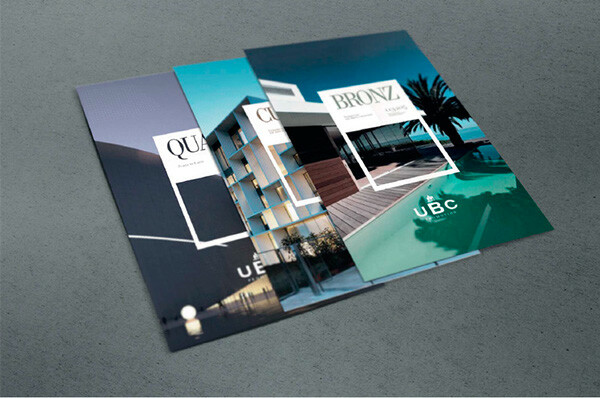 Residential, commercial, professional. 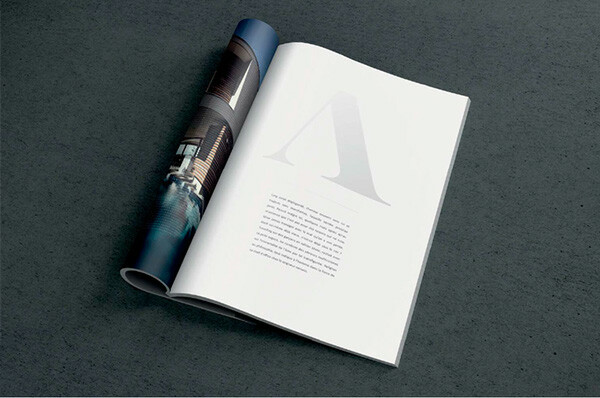 The identity and territory were to express luxury, power and elegance, through the use of dark colours mixed with white space and metallic paints such as bronze. 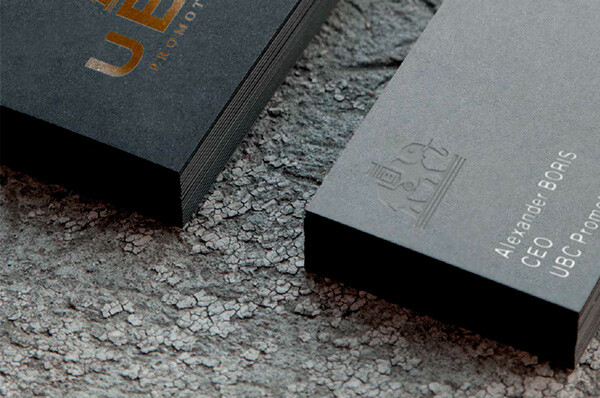 Beautiful papers, selective varnishes and embossing contribute to the overall look and feel.